Unlock the secret to long, curled lashes with fLash. 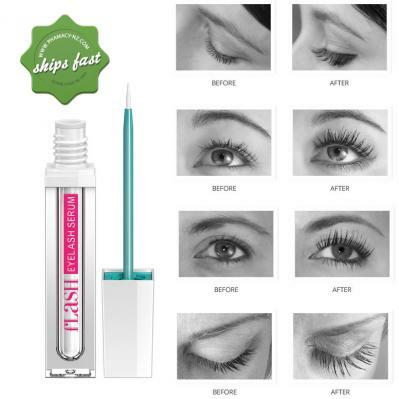 Enhanced the length and curl of your lashes. Unique formula conditions and strengthens. Fortify and condition the lash follicles. Enhances thinning or patchy brows. Each tube will last approximately 3 months. Physician formulated. No prescription needed. Keep away from the reach and sight of children. Store in a cool, dry place. Do not use if you have any forms of eye irritations. Stop Messing around with fake lashes that only last one night, or making and driving to appointments to get lash extentions and start nourishing your own lashes and brows. Ships fast Internationally. With simple, once daily application, this advanced serum guarantees results in just weeks, giving you the lashes you've always dreamed of. Simply follow these steps: Wash your hands and face to remove all traces of makeup or cosmetics. Move applicator tip along the lash line of the skin on the upper eyelid in a traditional eyeliner fashion. (From outside corner in). Allow the product to dry for 2 to 3 minutes before applying other cosmetics. A single application stroke is all that is required. It is not suggested to use this product on the lower lashes. This may cause irritation. Use the serum once daily for eight to twelve weeks. Once you are satisfied with your lashes, reduce use to two times a week. 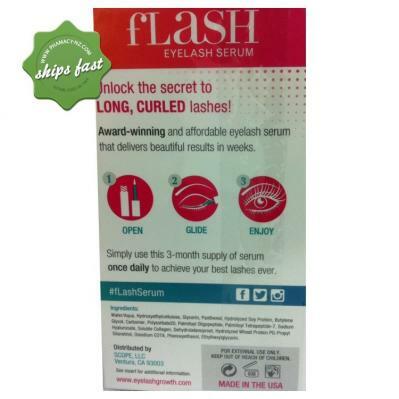 How long does a tube of lash serum last? Your tube of flash will last for up to six months if used daily as recommended. Once opened, the formula will remain active for 9 months. My eyes are irritated, itchy, or red from the product, what should I do? The skin around the eye is delicate, if you should find you have sensitivity to the ingredients or if mild or moderate redness or irritation occur, discontinue use of the product at least temporarily until symptoms resolve. 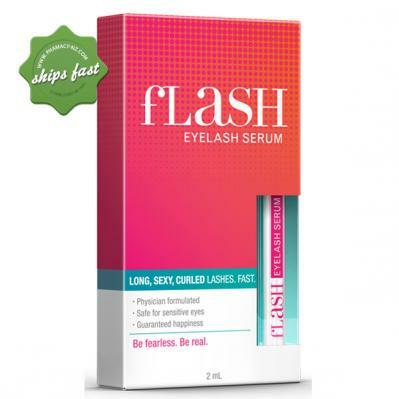 Make sure you are using it correctly as mild irritation can occur with incorrect application of Flash Lash. I noticed some skin discoloration where I apply Flash lash serum, should I be concerned? Some customers have noted a slight darkening of the skin on the eyelid where they have applied fLash over a prolonged period of time. In most situations this will naturally fade with discontinued use of the product. Can you use lash serum on your brows? Yes - flash lash serum is great for patch or light brows as it can help the patch areas appear fuller. You just need to apply to the skin under the arch of your eyebrow or any area that is sparse or patchy. I purchased flash lash because I wanted to grow my eyelashes longer because I had pretty short eyelashes. I have probably been using this product for a few months now and it is absolutely amazing! I have had so many comments about my eyelashes from so many people, I've had some ask if I had eyelash extensions in and have had people that have purchased this item from what they have seen from my results. best product money well spent. This is the first order I have placed with this organisation but it will not be my last. Good pricing, rapid delivery and so easy to use their system! Thanks so much for my parcel which arrived beautifully packaged, and so quickly. 48 hrs to get to me in Auckland. 5 star! Super speedy delivery, and the best priced product on the internet at the time - even including the shipping fee. Will use this service again for my next top up without a doubt. I have found my eyelashes have become more stronger, maybe a little thicker,have not really noticed a change in the length, very easy to use. Arrived quickly and well packaged. Been using daily for more than a week but don't expect to see results for another few weeks.